Hey I went to a workshop! The weekend of September 21-22 I got to spend time with the amazing Tip Toland at the Clay Arts Center in Port Chester, New York. 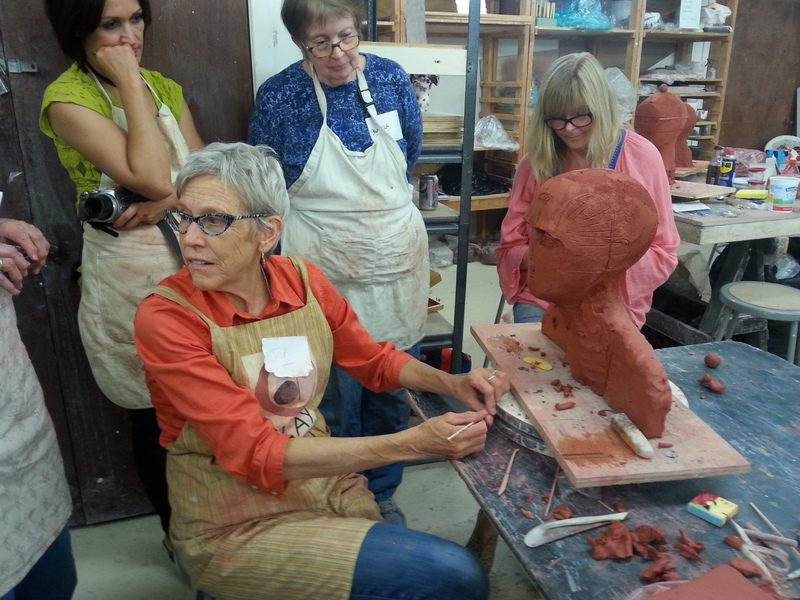 Over two days and approximately 16 hours we were given demonstrations and hands-on learning to begin making our own aged portrait busts. Tip is most recognized for her hyper-realism and expressions in portraits of the elderly. The first day we went over the basic structure of a portrait and working from an armature. From there she went over facial mapping in great detail, stressing frequently the importance of understanding anatomy and symmetry. 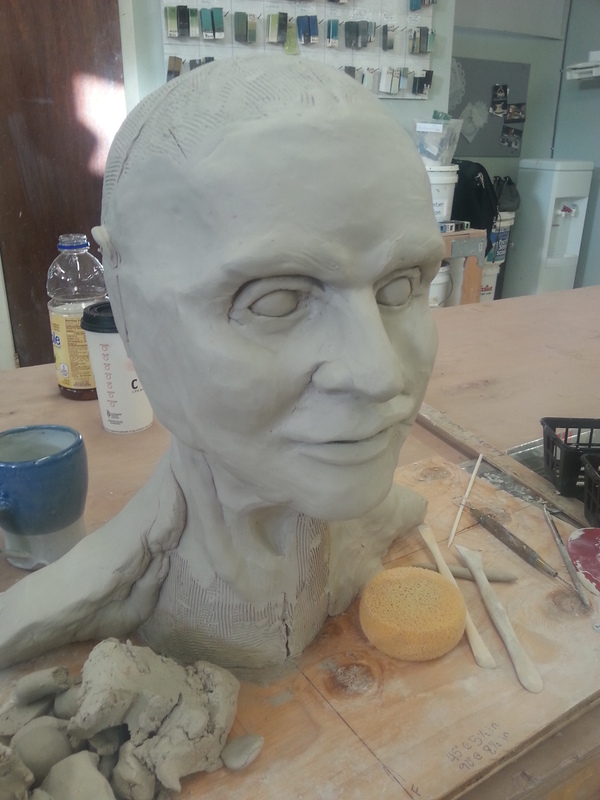 The second day was focused primarily on adding in the facial features, changing expressions, and aging a figure. It was a real privilege to get one-on-one instruction from her to begin working on my projects for the semester. Here she is! The magical and wonderfully sweet Tip Toland. And this was what I ended up with at the end of the workshop. The beginning of a portrait of my grandmother.